An ultra modern bowie specially built for pros n extremists to satisfy their intense appetite and thirst (lust)..
KHHI announces the release of an ultra modern bowie called the “Chukuri PRO” that is specially built for pros and extremists in the industry in order to satisfy their intense appetite and thirst (lust). It is the improved version of the “Chukuri” series in which major focus is put on the handle to make it as easy and effective as possible since we all know how essential holding (grip) becomes for maximum outcome and to deliver the best. The handle is ergonomically designed having palm-friendly counters and corners and also with two palm swells that just melts in one’s hand in a holding position. This specially crafted wooden handle provides a very comfortable and secured grip that makes using/holding so much nicer and safer comparatively. Moreover, the long erected in-built guard at the top of the handle works as a divider that always safeguards (restricts) the using hand within the handle section only and thus in the process any kind of cut and injury is totally avoided. The extended tang at the bottom of the handle (pommel) built in the form of a skull crusher is also avail for various pounding and stabbing activities. Similarly, a lanyard hole in the tang facilitates a string attachment to the using hand to prevent the knife from falling away. 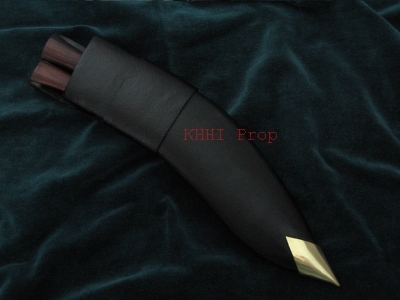 Chukuri version is one of the most fascinating knives KHHI has produced. 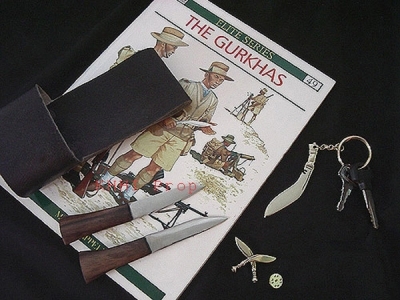 It is actually the combination or experiment of two most common knives of Nepal, “Khukuri” and “Churi” and hence the name. The shape, style and features show both the parental characters at its best. The spine of the Chukuri with sharp edge at the head section reflects the character taken from a “Churi” and the front arch belly portion from a “Khukuri”. 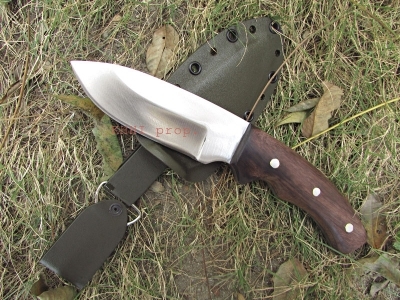 The combination of beauty and the beast of two famous authentic knives in Nepal, have made this knife an exceptional experiment of indisputable supremacy. It has high carbon steel as in all khukuris with a twist at the head portion as seen in the picture. This curve is also made sharp and much more pointed at the tip for piercing and tearing apart through upward movement. This blade is both a hacking and stabbing maniac. RAW black finishing is done for strength and power as initial hardness is retained since the blade does not go through long machinery process of polishing/shinning where the heat generated might take away its hardness. 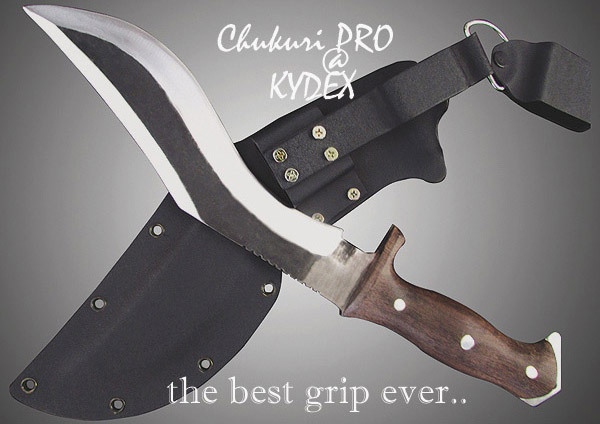 Chukuri PRO : this unusual yet striking shape with sharp edges on both sides backed up Comfy and Secured handle and supported by a super Kydex sheath is a true masterpiece that can be an honest tool, a loyal friend or an enemy’s nightmare - its the combination of indisputable supremacy. Blade size: 10 inches approx.